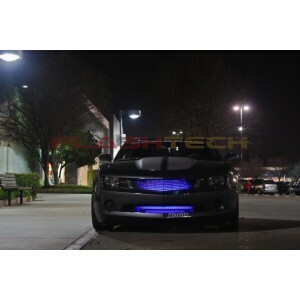 Universal Flashtech Fusion LED Grille Kit. Brighten your drab factory grille or show off the facets of an aftermarket grille with super bright LEDs. The dazzling effect from these LED strips will make your ride the talk of the town! 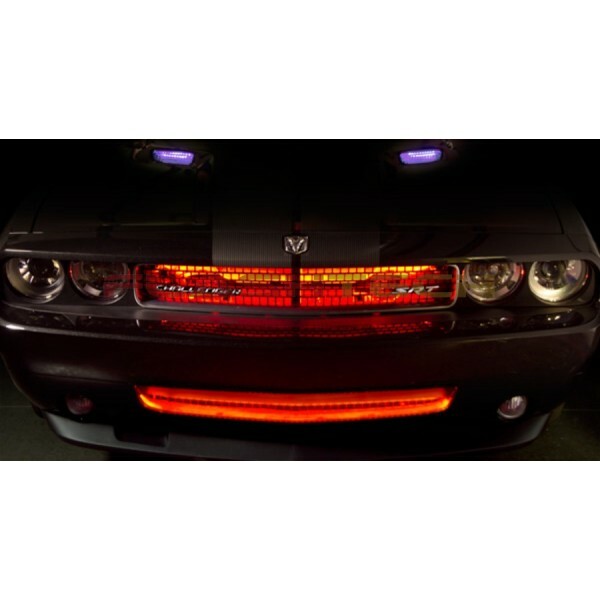 These LED strips can be mounted to any grille, and they can be switched separately or wired to come on with your running lights. The kit comes in a RGB setup with Red, Green, or Blue being available out of the box or pair with a Flashtech Fusion RGB remote to choose any color at will! 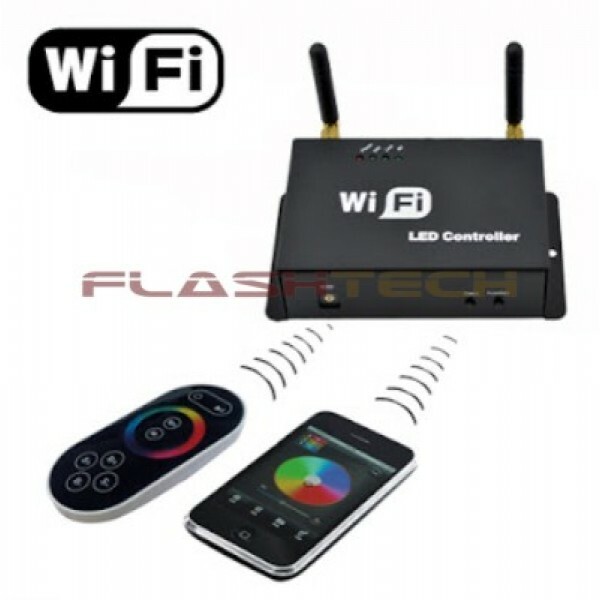 Flashtech Fusion LED strips work as Red, Green, or Blue being available out of the box or pair with a Flashtech Fusion RGB remote to choose any color at will! Comes with everything required for installation, including several mounting methods. Optional RGB Fusion wireless remote to change any color. 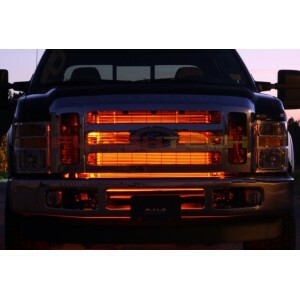 The grille is literally the "face" of your car or truck, the first thing people notice when you're coming down the road. Show it off in a way that's totally unexpected with super bright LED lights. 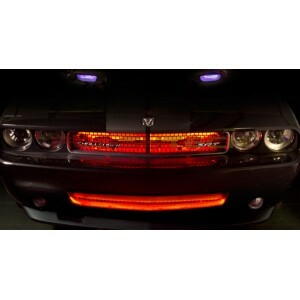 These LED lights are available in your choice of colors and they can be attached to any grille. They'll improve the appearance of a factory grille so everyone sees it literally "in a different light". They can also be the finishing touch for an aftermarket replacement grille. 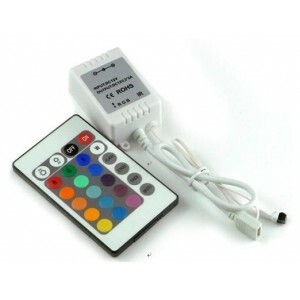 LED lights are the most advanced form of lighting. They're compact and durable, and with an average lifespan of 50,000-75,000 hours, you might as well say they'll last forever. They're much more energy efficient, using 90% less power than incandescent bulbs. And unlike conventional bulbs, they produce no heat during operation, so there's no need to worry about where you install them. Plus, the light they produce is much brighter and cleaner, much more attractive than incandescent light. Flashtech Fusion LED Grille Kit comes with one or two 24" LED light strips. The one-strip kit should be ample for the smaller grilles found on most cars, while the 2-strip kit is for the larger grilles found on trucks and SUVs. 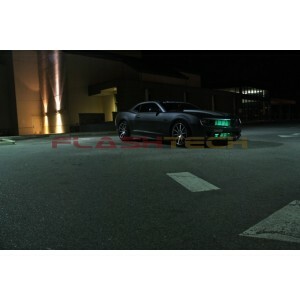 The LED light strips are flexible and completely waterproof. 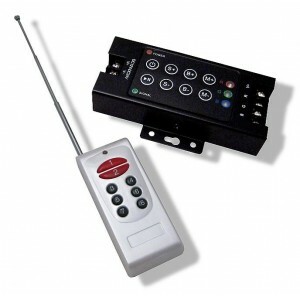 The kit includes everything required for installation, including detailed instructions.